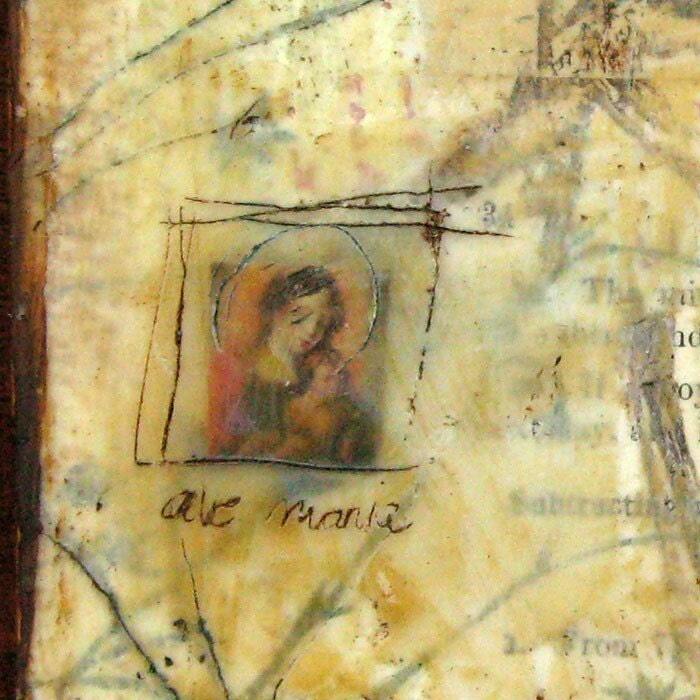 Photographic print featuring my mixed media artwork "Ave Maria". Print measures 5"x5" and it is printed on Fuji metallic paper. The metallic tones of the paper are not really obvious, it's rather subtle and the metallic quality of the photographic paper gives colors a beautiful richness and depth. It is a professional print and it will last a lifetime. It comes appropriately packaged and ships via USPS.